Secretary of State Mike Pompeo met with Saudi Arabia’s King Salman Tuesday as both leaders discuss the circumstances surrounding missing Turkish journalist Jamal Khashoggi. 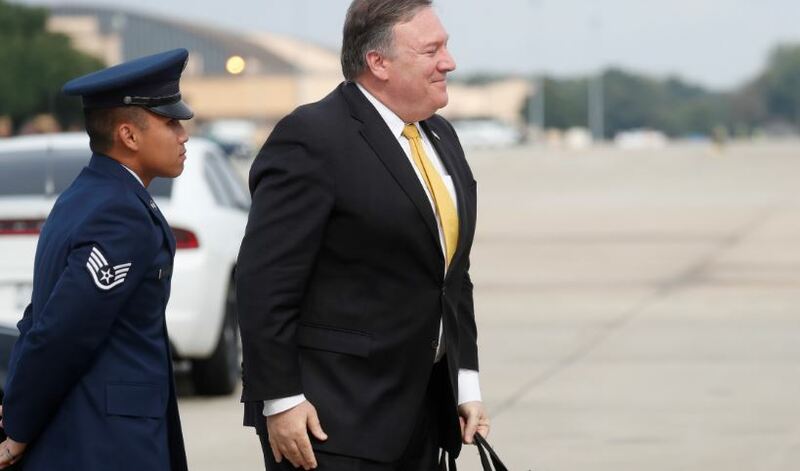 Pompeo will also meet and dine with Crown Prince Mohammed bin Salman, the country’s young, charismatic leader. The secretary of state’s visit comes amid reports that Saudi Arabia’s government is considering admitting Kashoggi was killed in a botched abduction attempt. Turkish officials say The Washington Post columnist was spotted entering the Saudi consulate earlier in October but was never seen leaving. Officials suspect Saudi Arabia dispatched a team of 15 assassins to the consulate to kill, dismember and dispose of Khashoggi after he entered the site. CNN’s report is based on interviews with two unnamed sources, one of whom said the operation was carried out without clearance and transparency and that the culprits will be punished. The other source says the report is still being compiled, so the conclusion could change depending on new information.